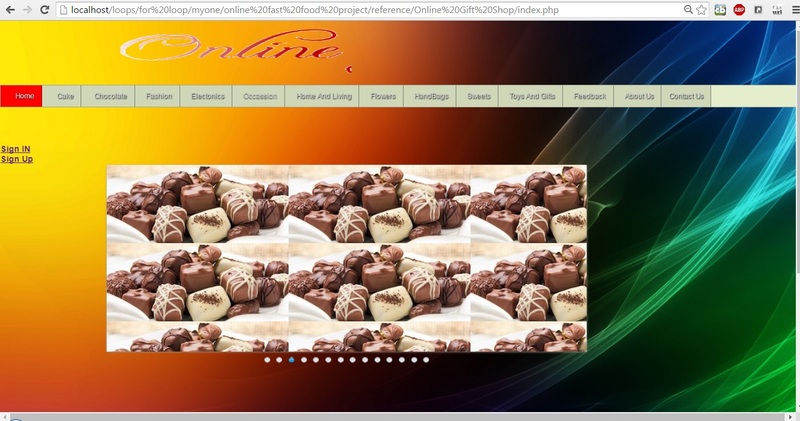 This project is aimed at developing a Web application that depicts online Shopping of gifts and purchasing. Using this software, companies can improve the efficiency of their services. Online Shopping is one of the applications to improve the marketing of the company’s products. 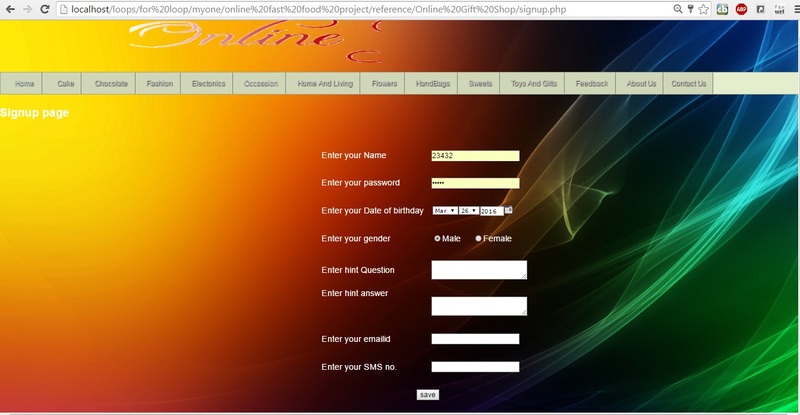 This web application involves all the features of the online shopping. “To Manage Online Gift Shopping”. 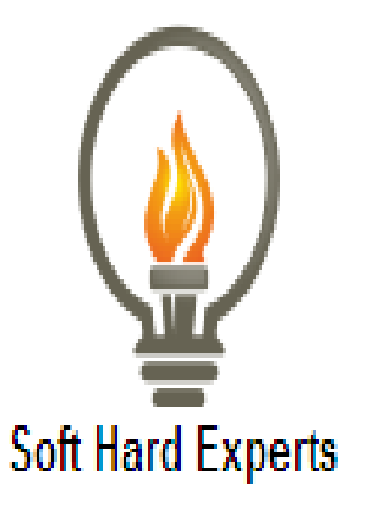 This software helps customer to find different gifts according category , price , subcategory. It is designed such a way that one can view all the updates of the gifts from any place through online. 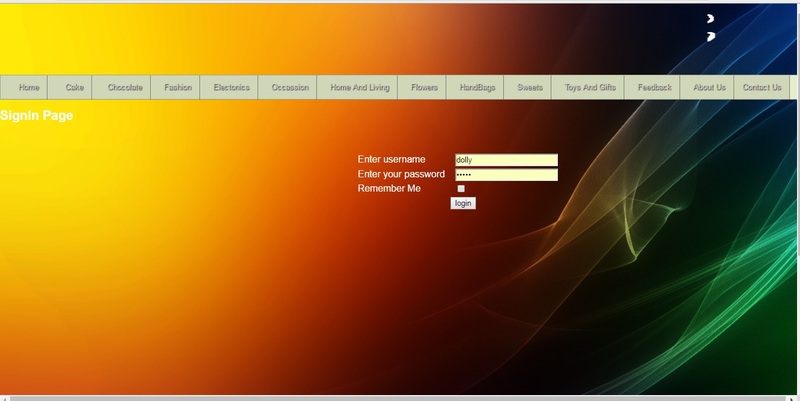 The software will help in easy maintaining and updating products in the website for the administrator. Also quick and easy comparison of different products for the customers. To manage the online gift shopping. It helps to customer to search and book gifts from anywhere. Also make payment on delivery for it. It helps to people to book desired gift at their prefer time. The project has a wide scope, as it is not intended to a particular organization. This project is going to develop generic software, which can be applied by any businesses organization. More over it provides facility to its customer. Also the software is going to provide a huge amount of summary data. Software Requirement : •	Linux Ubuntu 8.10 or Microsoft Windows 7/8. •	XAMPP. •	Notepad++. Application : FUTURE SCOPE:- This web application involves almost all the features of the online shopping. The future implementation will be online help for the customers and chatting with website administrator. CONCLUSION:- The project entitled “Online Gift Shopping” is developed using PHP as front end and MYSQL database in back end to computerize the process of online buying and selling of gift in a showroom. This project covers only the basic features required.